We’re delighted to have many, many testimonials about the quality of HydroKidz lessons – too many to show them all here – but here are a few to whet your appetite. "Not clear on what to expect however i can see Samantha making big steps. Jasmine pushes or encourages and Samantha always wants to come to her lessons. Be useful to know more info or where Samantha need to improve and what needs work." "We have found the lessons excellent. Evie is now able to swim using floats and getting there without. I wouldn't change anything. Staff are great and Evie loves coming." "HydroKidz has been great for Harrison. The objective was to get him confident in the water which Libby made happen in the first class. He has made good progress which I intend to work on over the summer and hopefully by the time he is back in September he will have mastered the concept of floating." "The patience of the instructors is highly commendable. The level of instruction is well differentiated by ability. Shona has grown in confidence in the water. We look forward to her getting more independent as her confidence continues to grow." "Very impressed with the general organisation and pace of the lessons, will be very interested to see how progress is now gained, thank you!" "Having recently transferred to HydroKidz at Bluecoats I just wanted to say how pleased we are with the standard of teaching and environment created by Stuart and his team. Lessons are run in both a professional and friendly way and the small class sizes ensure ability to clearly monitor progress and needs on an individual basis. 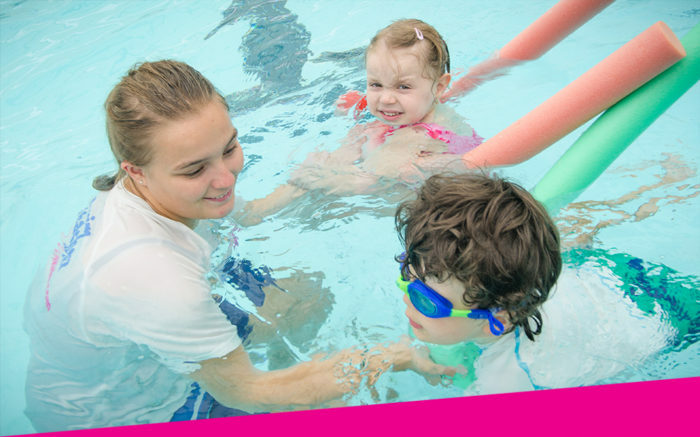 There is always a positive emphasis and tone and my son is now back to really enjoying learning swimming as a result which we believe is what swimming lessons should be all about."